Ernest Cline‘s Ready Player One took the SFF community by storm — it was a perfect blend of nostalgia, fast-paced and gripping storytelling. With heart. And great characters. I loved it, and read it in two sittings (broken only by a short sleep). Many fans have been eagerly awaiting news of Cline’s follow-up, of course. Armada was announced as the title a while ago, but now we have firm publication dates. The novel is due to be published by Century in the UK on July 16th, 2015. It’s just another day of high school for Zack Lightman. He’s daydreaming through another boring math class, with just one more month to go until graduation and freedom — if he can make it that long without getting suspended again. A minute later, he’s sure of it. Because the UFO he’s staring at is straight out of the videogame he plays every night, a hugely popular online flight simulator called Armada — in which gamers just happen to be protecting the earth from alien invaders. But what Zack’s seeing is all too real. And his skills — as well as those of millions of gamers across the world — are going to be needed to save the earth from what’s about to befall it. 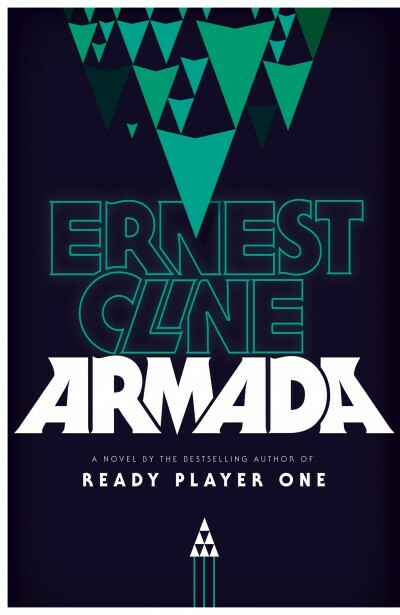 Armada is at once a rollicking, surprising thriller, a classic coming of age adventure, and an alien-invasion tale like nothing you’ve ever read before — one whose every page is infused with author Ernest Cline’s trademark pop-culture savvy. In other recent news, the movie adaptation of Ready Player One is going to be directed by Steven Spielberg. Which is pretty awesome. Armada is published in the US by Crown, on July 14th, 2015.